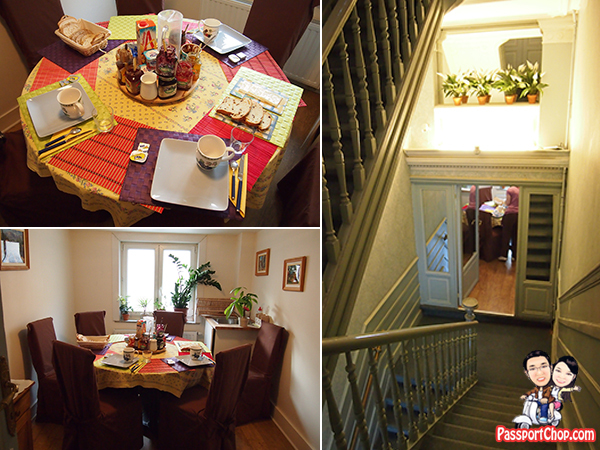 For our next leg of our honeymoon trip in Brussels, Belgium, we were hosted by Wimdu at the Le Lys d’ Or Guest House – a charming, beautiful apartment in Wimdu’s inventory of houses for short-term rental in Brussels. Compared to our Wimdu canal-house apartment in Amsterdam, the Le Lys d’ Or Guest House is much smaller (but still spacious by Belgium standards at over 70 square metres) and there are no self-service amenities such as washing machines and cooking stove (though these are not really necessary since there are lots of supermarkets and great restaurants around the area). We stayed in Room No. 3 (as of now, there are 3 rooms at Le Lys d’ Or Guest House but we saw some renovations at the upper floors so there might be more coming up) on the second floor. The room has 2 magnificent marble fireplaces – one in the bedroom and the other in the spacious living room/lounge. They are not working fireplaces but add to the beautiful decor of the entire room. There is also a small lovely balcony which provides a great view of a nearby castle “Porte de Hal”, a beautiful park in front of the house and surroundings of a quiet Brussels suburbs. 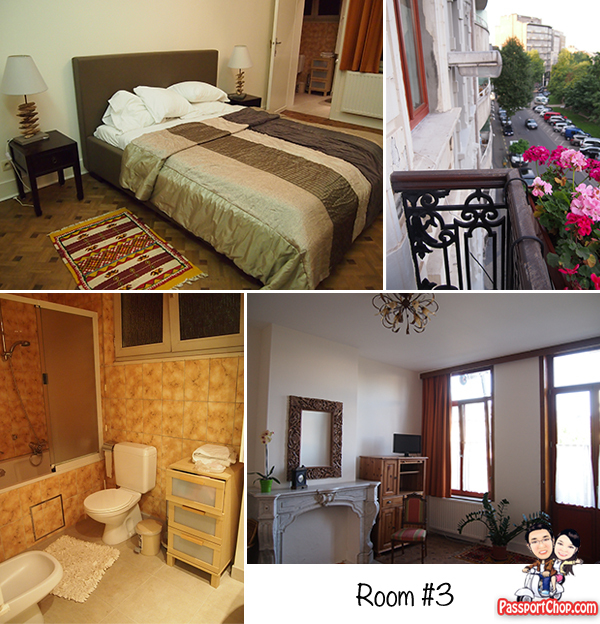 You get total privacy in your room – unlike other apartments which simply offer you a room where you had to share bathroom and living area with other tenants/guests, you will get your own bathroom and living area with a room in Le Lys d’Or Guest House. The bathroom is also well-equipped with bath (a very spacious one compared to hotels) and shower facilities as well as washbasin, bidet and WC. Towels are provided and there are daily room cleaning service to ensure that towels are replaced and the room and bathroom are clean at the end of the day when we return from a long day of exploring Brussels (just like in the hotels!). Dounia, the owner of this place stays at the ground floor of this guest house. She provides great tips on the best places to eat and shop around the area. There are also maps prepared exclusively for guests of Le Lys d’ Or detailing the main attractions and how to get there via metro. There are also brochures of attractions and discount coupons laid out at the reception area and sometimes even Belgian chocolate and Speculoos biscuit (great if you would like to sample some local delights before buying back home!). Dounia tries to remain contactable at all times for her guests by linking the voice messaging system at the guest house to her mobile. Thus if she is not in the guest house and you need to contact her urgently, simply press the voice message system at the front of her door at the ground floor and you will be able to get in touch with her on her mobile (saving you on expensive overseas roaming charges and at the same time getting the help you need quickly). From the South station (Bruxelles Midi) – if you are arriving from Amsterdam, the train will stop at South station, Take the metro line 2 or 6 towards “Simonis / Elisabeth II” until the second metro station “Hotel des Monnaies”. Exit this station from No. 3 Exit “Avenue Henri Jaspar”. Once you are above ground, walk along Avenue Henri Jaspar until the number 96 and ring the doorbell at “Le Lys d’Or B&B. 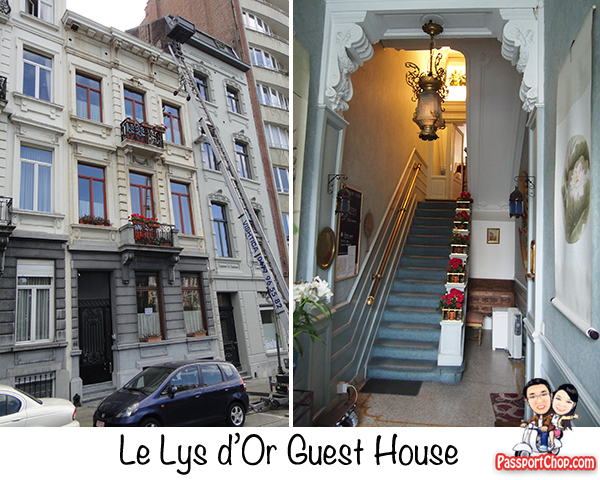 To book a room at Le Lys d’ Or Guest House for your next trip to Brussels, check out: https://www.wimdu.com/offers/5MG4YS6Q for availability and prices. Besides room No. 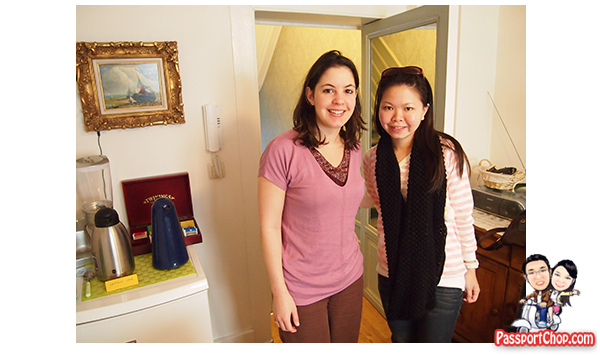 3, there are also other rooms with interesting decor e.g. room No. 1 – a very spacious room which has an Eastern-inspired decoration. It is decorated with tables from Essaouira (Morocco), a handmade Japanese triptych and various things from China and Thailand. Wimdu.com also offers a wide variety of apartments in Brussels and other parts of Belgium and you can choose your apartment based on your preferred location and number of guests. As seen in our review above of Le Lys d’ Or Guest House, you can be assured of quality assurance by Wimdu in checking that hosts and their apartments are good before being listed. This is amazing. A nice place where I can relax and stay for a vacation trip this summer. Thanks for sharing this post. Excellent place to have a peaceful Vacation this January 2011. Seems one of the elegant guest house in Brussels . how much they charge for 1 night ?? and can we book it online prior to we reach there? ?